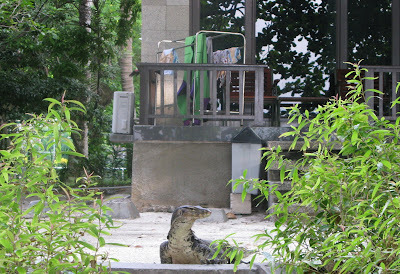 Why people fancy watch dogs when lizards could do the same job? 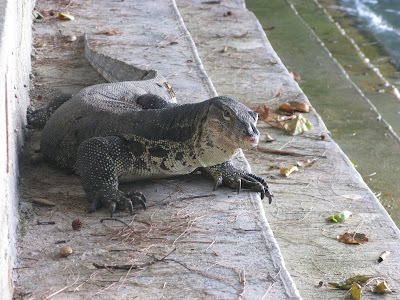 Photos of a 2 meter long monitor lizard from Putri Island, West-Java, September 2008. P.S. See also traces in the sand.